Many of you would argue, with some sound reasoning, that it's January rather than November, but happy thanksgiving just the same. 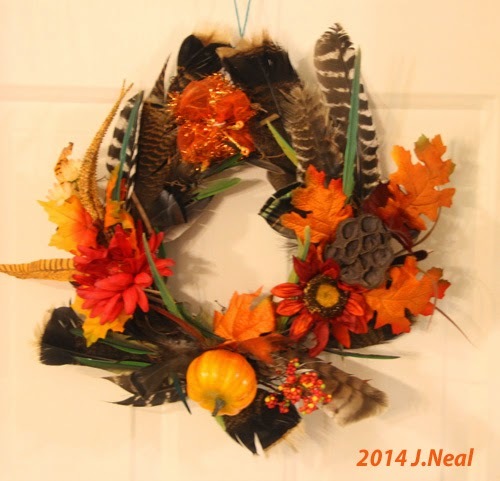 Here's a wreath for the season that Jean and the granddaughters put together. Several wild turkey feathers were used that we gathered during a walk through the woods. I won't say where, since I don't want them all shot. Their discarded tail feathers make a nice colorful addition for decorating.